The Blossoming God is a book of awakening and enlightenment that Christians have been yearning to find. It contains concise and meaningful meditations and statements of spiritual truth from an experienced missionary. Well-grounded advice on how to reach the heights of spiritual life is also included. Joshua reconnects modern spiritual concepts such as Mind and oneness to their roots in early Christianity. He gives insights into metaphysics as well as the blossoming effects of process theology. Gain an understanding of the nature of reality that will greatly assist your walk in Christ and your prayer life. Joshua presents a clear and deep view of God and humanity. Come to new realizations and enhance your faith with a better understanding of the whole picture. Drawing on his studies in Protestant, Catholic and Orthodox theology, New Thought Metaphysics and Process Theology, Joshua takes you to the core teachings of Christianity. He explains the Incarnation and Resurrection with great depth. Go beyond good and evil to discover the essence of God and humanity. Learn the real nature of Cause and Effect as well as True Action. Find oneness and union with God. The understanding of God as Infinite Mind is being re-invigorated by this teaching. 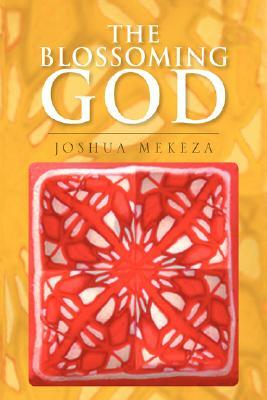 The Blossoming God lays out for readers the foundations of Christian metaphysics. Beautiful quotations from the early Church Fathers confirm Joshua's understanding in a powerful way. The Blossoming God teaches that our awakening to the presence of the Infinite happens when we follow the way of Christ Jesus. We are all able to participate in the Mind of Christ. Learn how to interact with the Infinite Being. You may find yourself truly born again as you embrace a correct understanding of the image of God. This book was written for those interested in, or involved in, Christians missions, as well as all students of Christ. Written with the classroom in mind, professors will find it useful in conveying spiritual concepts.